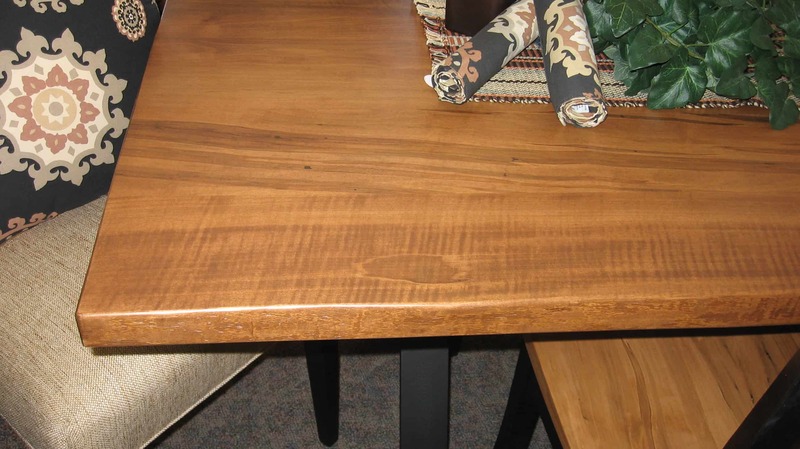 42″ X 84″ Jamestown Live Edge Dining Table. 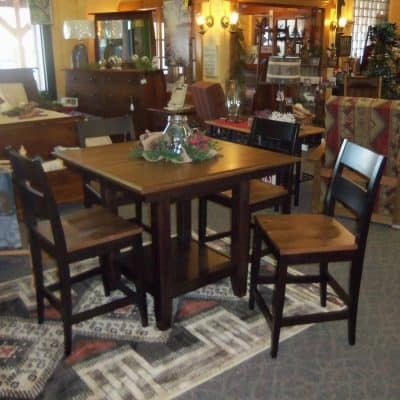 Set includes 4 Jamestown Side Chairs and 2 Parsons Fabric Covered Side Chairs. 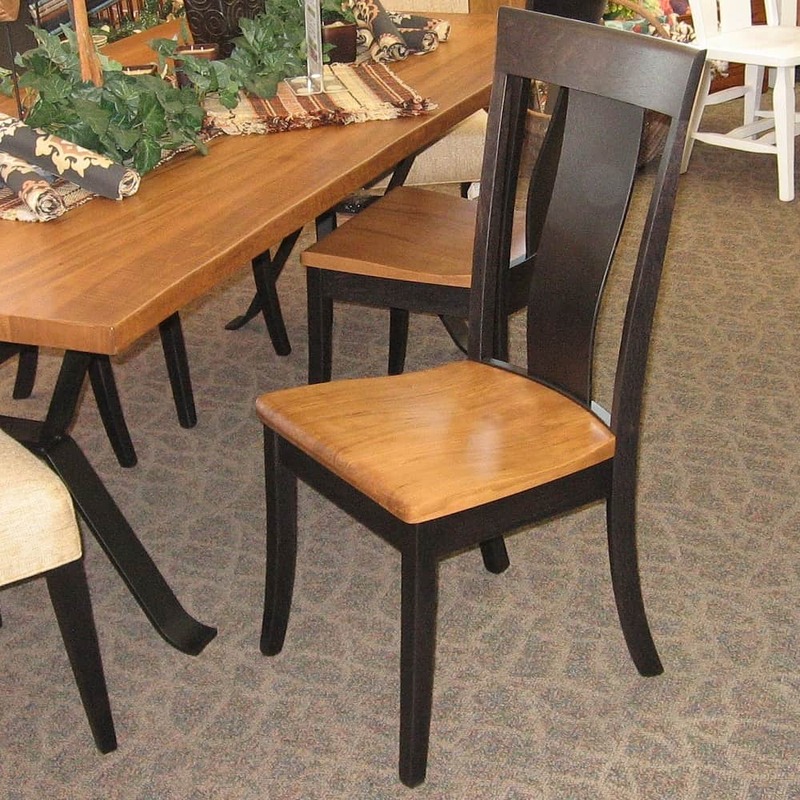 While the Chairs are shown in Wormy Maple with a Seely Low Sheen Finish and have an Inverted Metal Base. 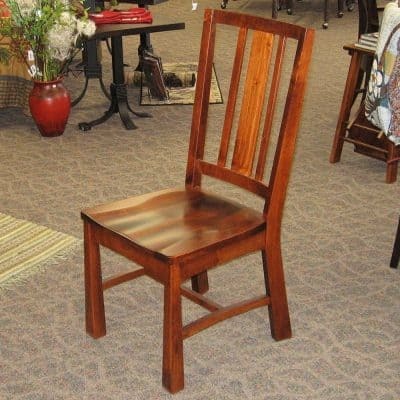 Jamestown Chairs are Wormy Maple and Quarter Sawn White Oak in a Seely/Ov-252 Finish. However the Parsons Chairs are covered in #2088-B Fabric. Other Wood and Stain choices are also available for special order. 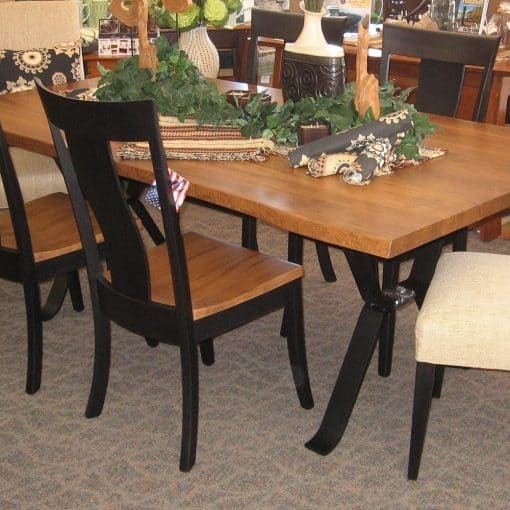 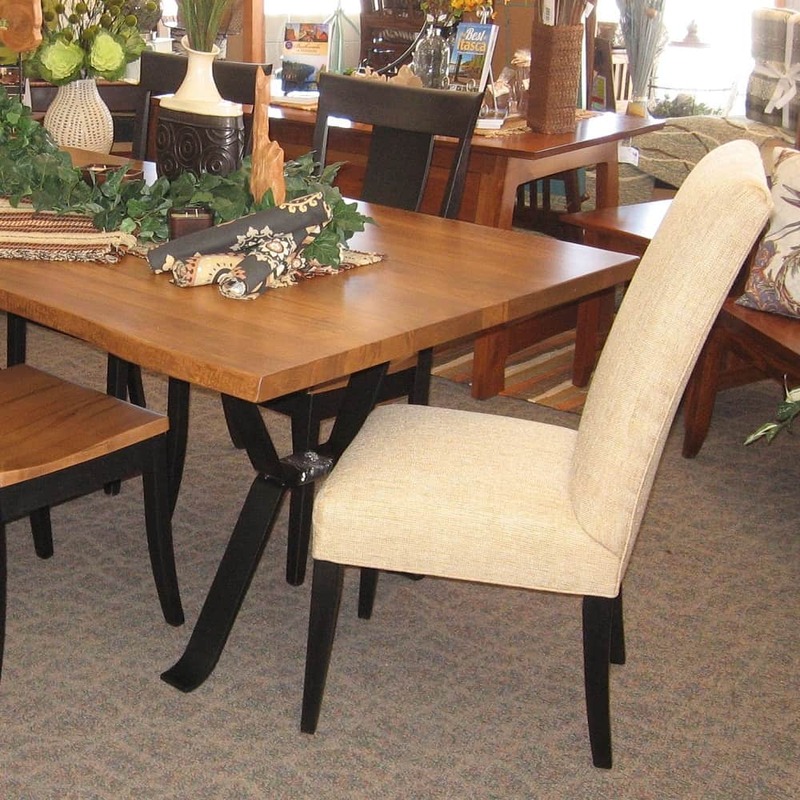 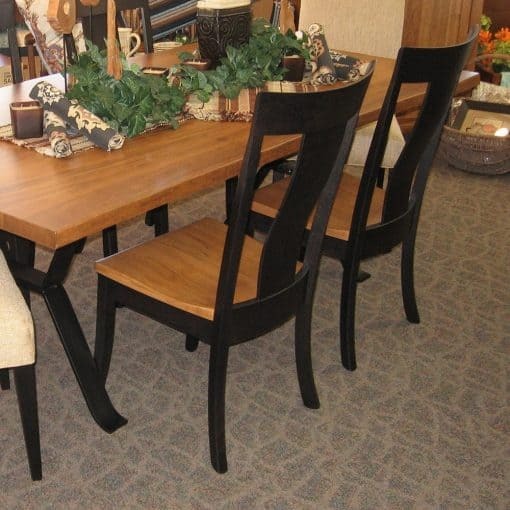 Table is 42″ X 84″, Jamestown Side Chairs 19 “W x 17″ D x 40H, Parsons Side Chairs 20.5″ W x 22″ D x 42” H.